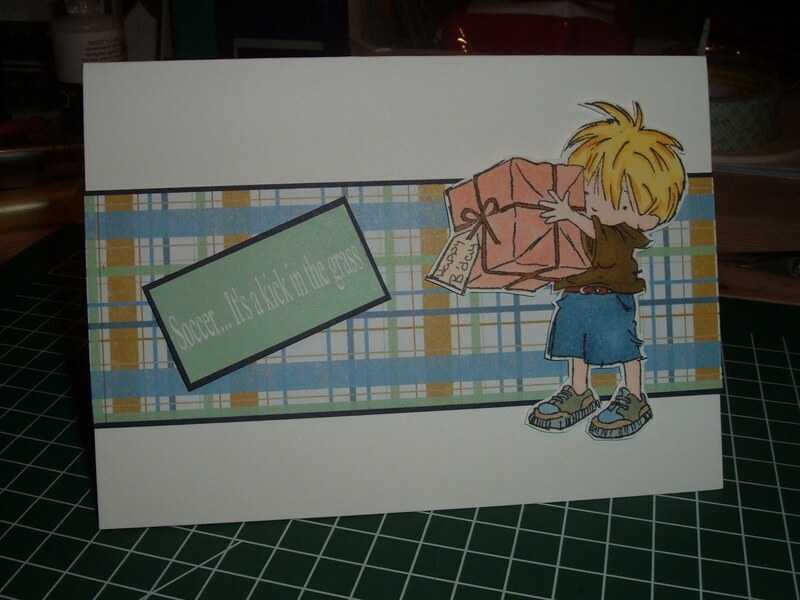 Here is a quick card for the smART-word challenge, I think this stamp is Lilly of the Valley, he is a real cutey. 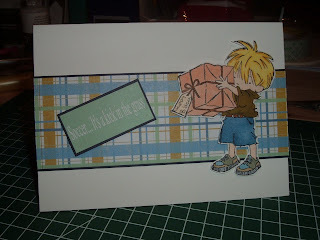 The card was quick because he was already coloured in and just waiting to be put on a card. I know a lot of people choose their papers then colour their images which is a most sensible thing to do, but I like to sit and colour while I watch a movie and I figure with the amount of paper I have I am sure to have something that matches hehehe.